Its spring and its time to book your Trinity Lake King salmon fishing trips! 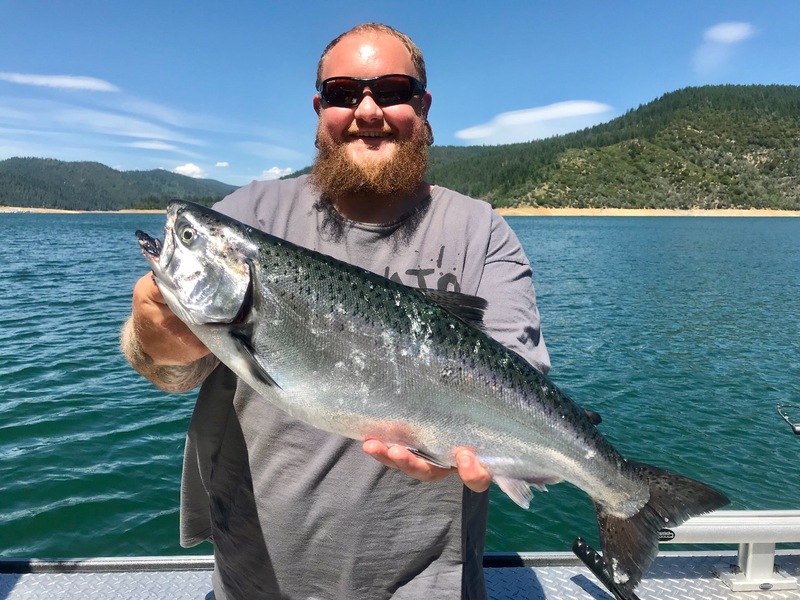 Its not all that common in the Shasta/Trinity Lake system to catch chrome Kings every time we go out, but then again, not many people have targeted them regularly from year to year. 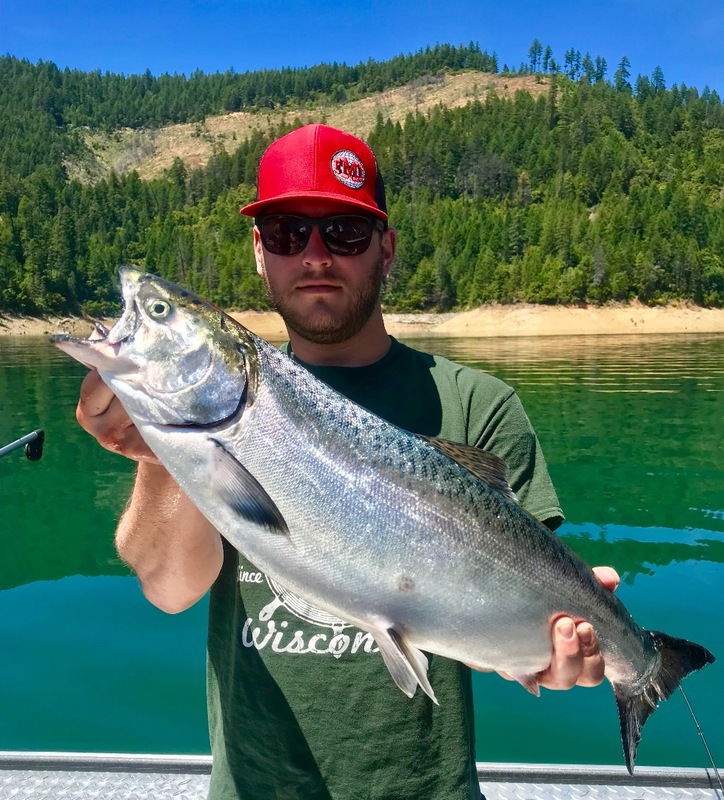 People just don't get out on the water like they used to, so most of the great lake fishing here in the Redding area has been, for the most part, forgotten. We're sharing this fishing information in our reports to help people become aware of what kind of fishing trips we have to offer, but to also let anglers know that they can access this kind of fishing on their own if they have the desire to do so. California needs to make a new debut on western fishing opportunities, CDFW needs to know that these amazing fisheries exist and are doing well so they have a reason to continue their efforts to keep them going and growing, and California residents need to believe there is going to be a return on their investment when purchasing fishing licenses. We have great fishing here in northern California folks, and its just waiting for you to answer its call. I'm available year round to offer my lake fishing guide services so pick up the phone or write me a message and together we'll help put California lakes back on the map again! 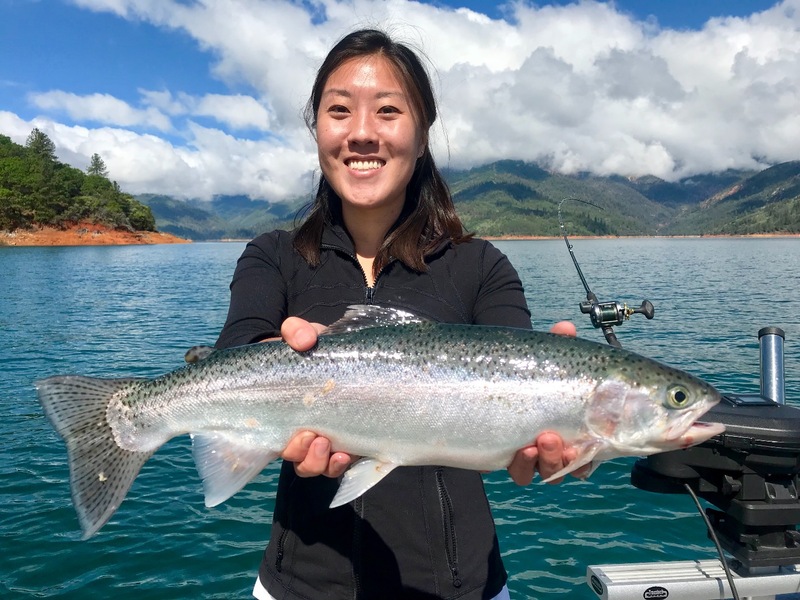 Shasta Lake trout bite improves!